Andy Wozniacki, CPA, joined Roush Industries, Inc. in 1990 and was appointed Controller in 1991. 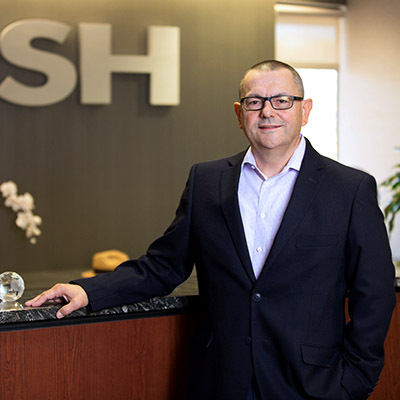 He joined the company’s Executive Committee in 1999, and became the Chief Financial Officer of Roush Enterprises in 2001. Mr. Wozniacki’s responsibilities involve managing and directing of the accounting, tax, finance, and treasury functions of Roush Enterprises. He supervises the financial executives of the company’s subsidiaries. He maintains banking relationships, evaluates new business opportunities, and is involved with corporate planning and development. Mr. Wozniacki also serves on the Board of Directors of various entities. Prior to joining Roush, Mr. Wozniacki held Controller positions with various companies. He has over 30 years of finance and tax experience, including 7 years in public accounting and over 25 years in private industry.